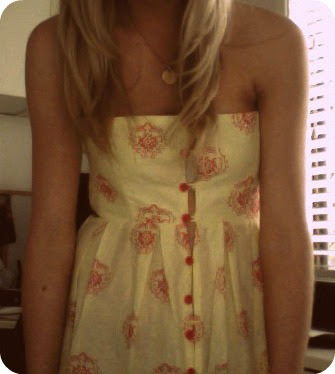 A new dress I bought at a vintage store today :) it's a One Teaspoon dress, pretty much brand new, still had the tags! Today was another day at uni..with a twist. We had a sausage sizzle and soup and bread provided by the Student Association. Then after that, a few other journalism girls and myself hung out, something we haven't done in so long, too long. I seriously love vintage shopping :) hadn't been in a while, they even gave me a Loyalty card...hahaha.